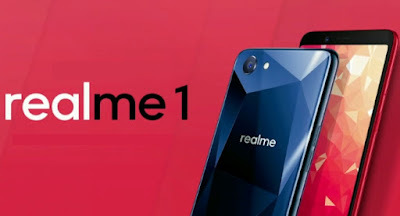 Realme 1 smartphone was launched in May 2018 in India. This phone is a competition of Redmi note 5. Realme 1 has awesome features and it runs on Android 7.0 version with inbuilt 3410 MAH battery and the phone is available in 2 different colors ( Diamond Black, Solar Red). Realme 1 Smartphone in India available only on Amazon Store in the future, it is available in other stores also. Realme 1 phone specifications: Phone is available in both (Ram 3gb + Rom 32 Gb) and (Ram 6gb + Rom 128Gb) with different prices 3gb+ 32 GB cost is 8,990/- and 6gb + 128gb cost is 13,990/-.The Screen, with Extremely thin bezels and vivid colors, offers more immersive video and gaming experiences. The thickness of the screen is 1.98mm and FHD+ full screen featuring an 18:9 ratio and 2160x1080 resolution. Realme 1 smartphone has triple slots 2 sim slots and 1 memory slot. 6gb ram works faster in multitasking plus it will store more multimedia files with 128gb Rom. The processor of this phone is AI which works like smartest and this was the world first 12nm AI processor it will smartly detect and allocates the tasks and increasing the efficiency with less body heat while playing the games. The battery has more power it has inbuild with 3410 MAH and camera 13MP primary camera and an 8MP front-facing shooter featuring AI technology, in vivid bokeh mode, is powered by 8000000 AI beauty solutions. It captures beautiful images. 500+ Authorised Service centers in India. Shop for the excellent Realme 1 smartphone on Amazon.in and enjoy these exciting features.